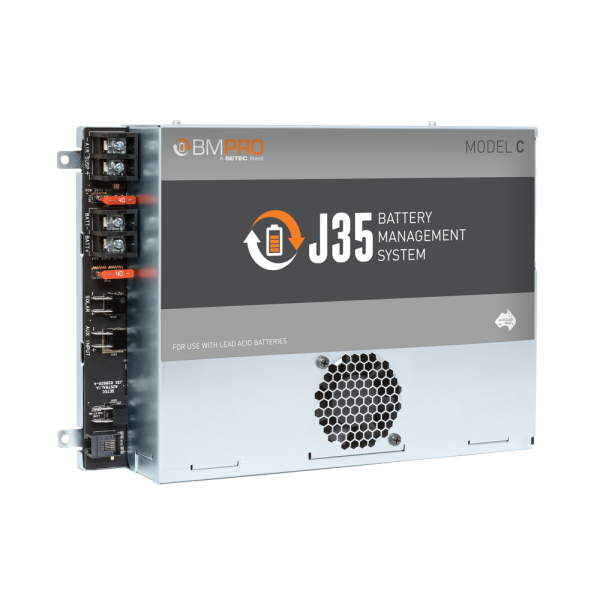 J35 Model C is a complete power and battery management system. It features an internal solar regulator and a multi-stage battery charger to ensure long battery life. 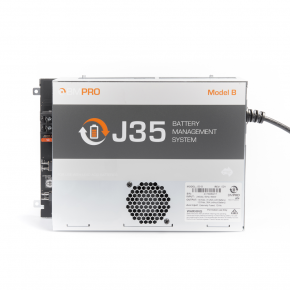 Use J35C battery management system to monitor the status of all types of lead acid batteries. J35C allows you to charge the caravan battery to the optimal charge level from 230-240 Volt mains, your solar panel (38 Amp, or three panels 450W total), or from any auxiliary input, such as a power generator or your vehicle. 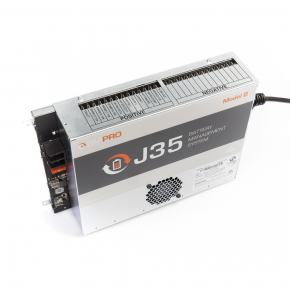 The J35C System supports up to 450W of panels with open circuit voltage between 18 and 28 VDC. Solar regulator is limited to 27A input current or equivalent to 3 x 150W solar panel. 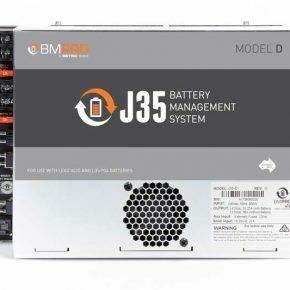 J35C will increase the life span of your battery thanks to the multiple battery protection features, such as low voltage disconnect, storage mode and multistage charging. There are 14 outputs to connect your DC appliances, including hot water, water pump, lights, and many more. Built in electronic fuses protect the loads. 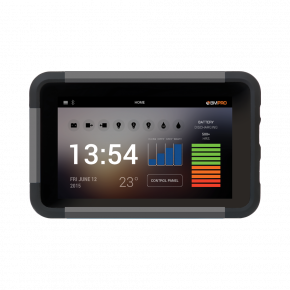 Built in the top of the range Jayco caravans, J35C comes supplied with JHub, a portable tablet to wirelessly control and monitor caravan features. JHub provides users with the detailed information on the power usage and the status of the caravan battery. Lithium compatible model of battery management system, J35D will be released shortly, the other J35 variants are not lithium compatible.